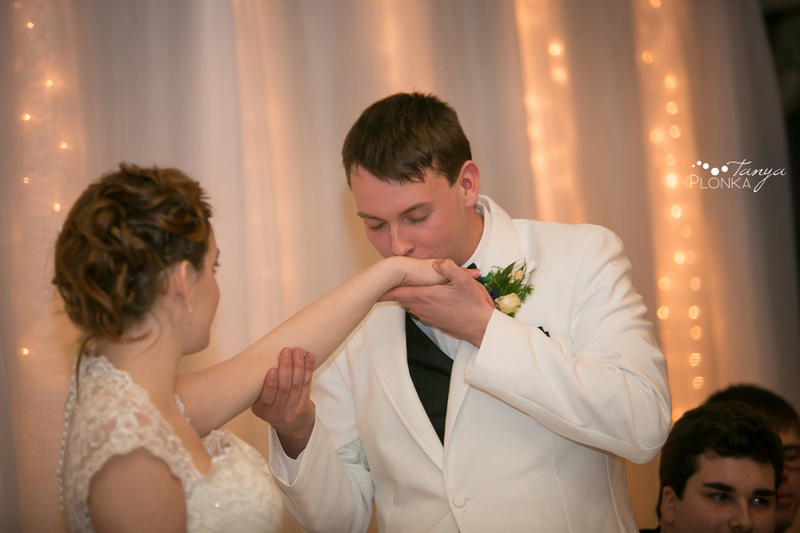 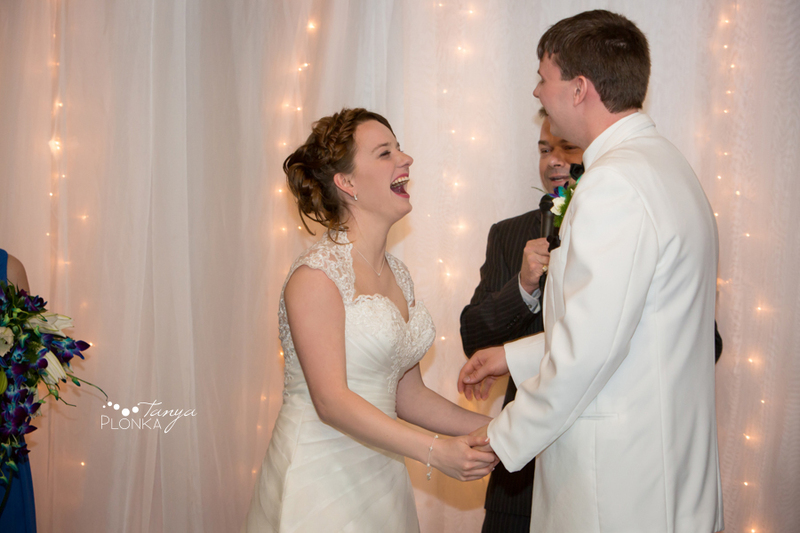 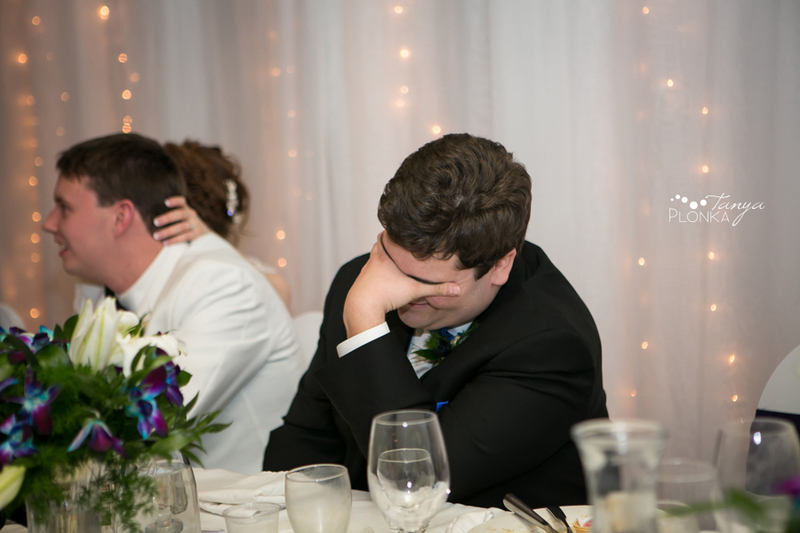 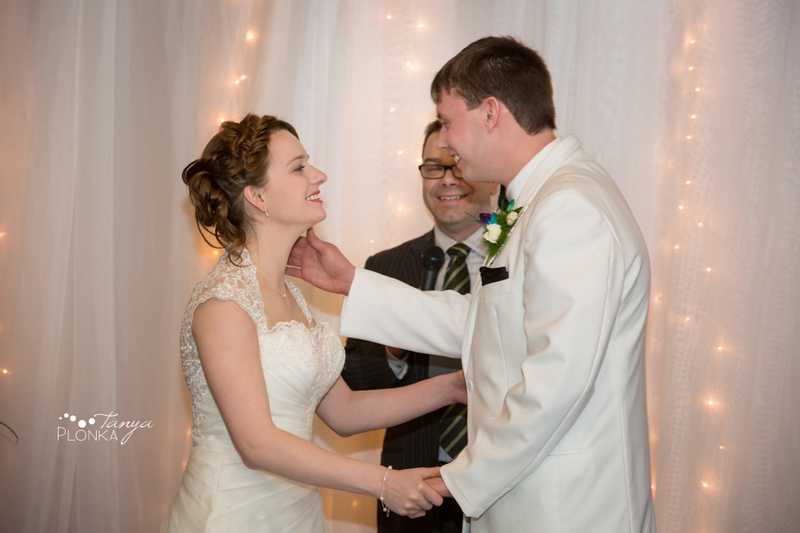 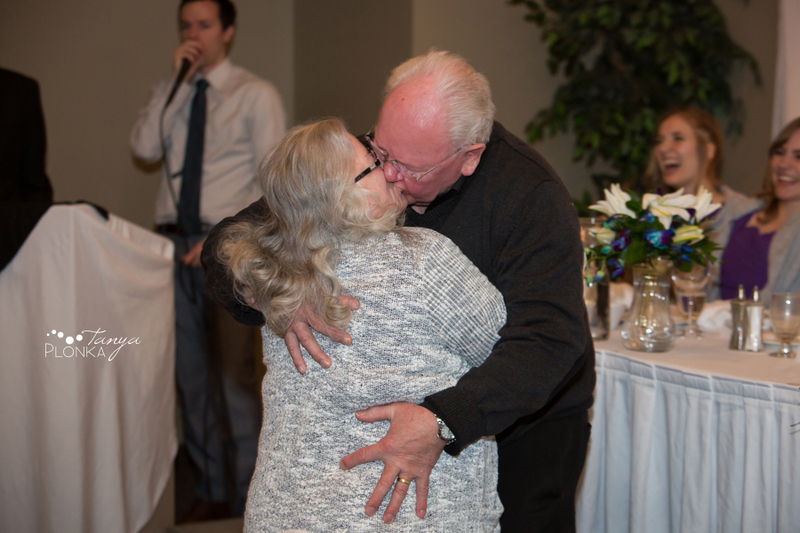 I’m not sure I have ever seen two people as excited to get married as Hannah and Jeremiah! 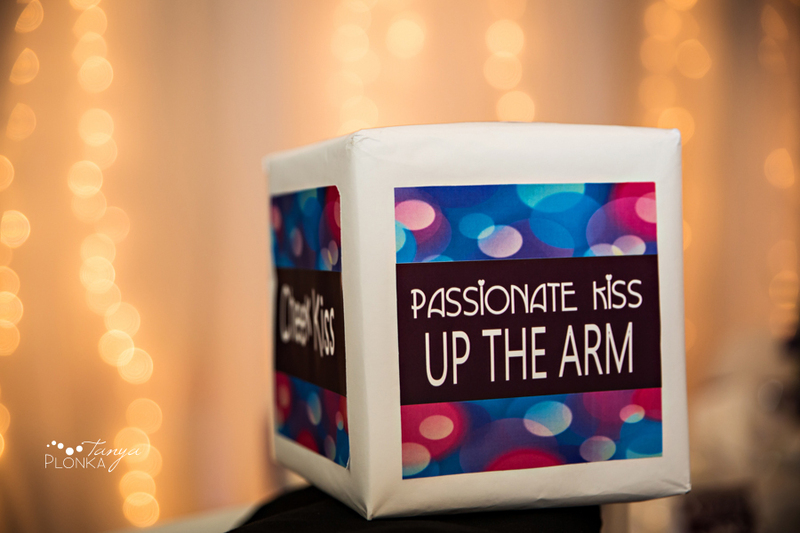 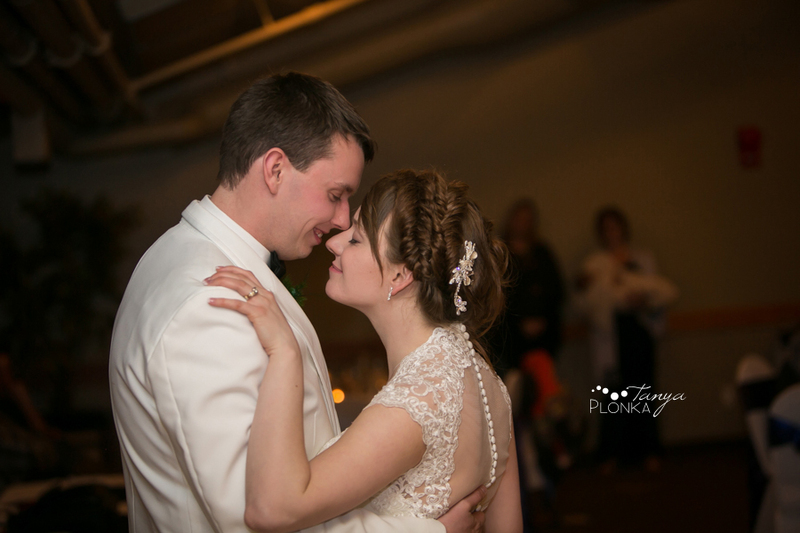 Their relationship was love at first sight and it shows in how passionate they are around each other. 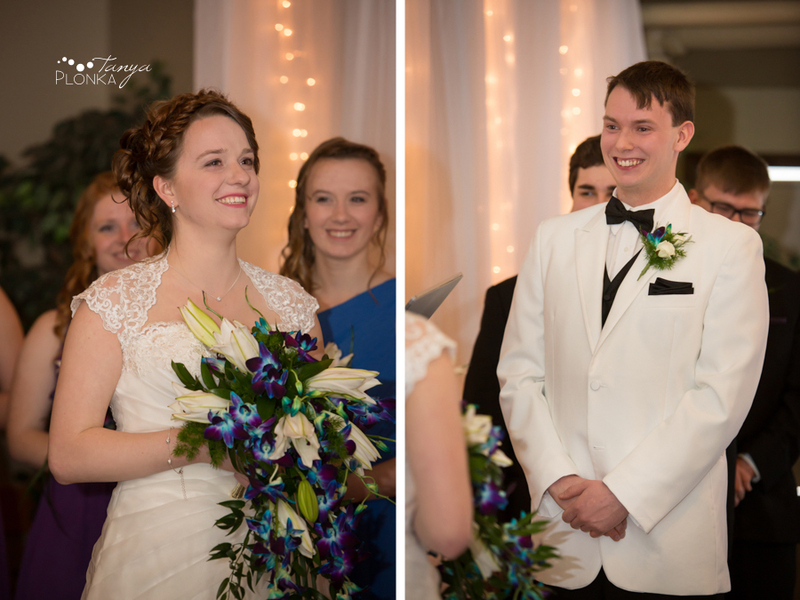 It was hard to spot them without giant smiles while in each other’s company all day. 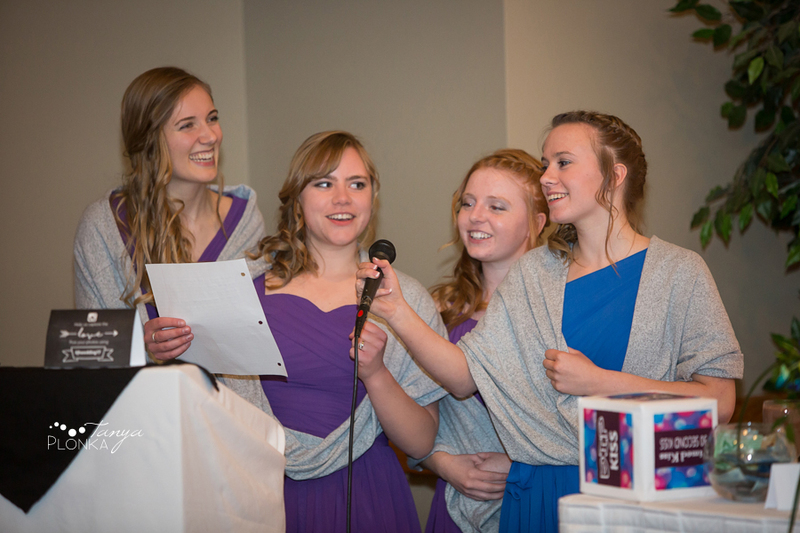 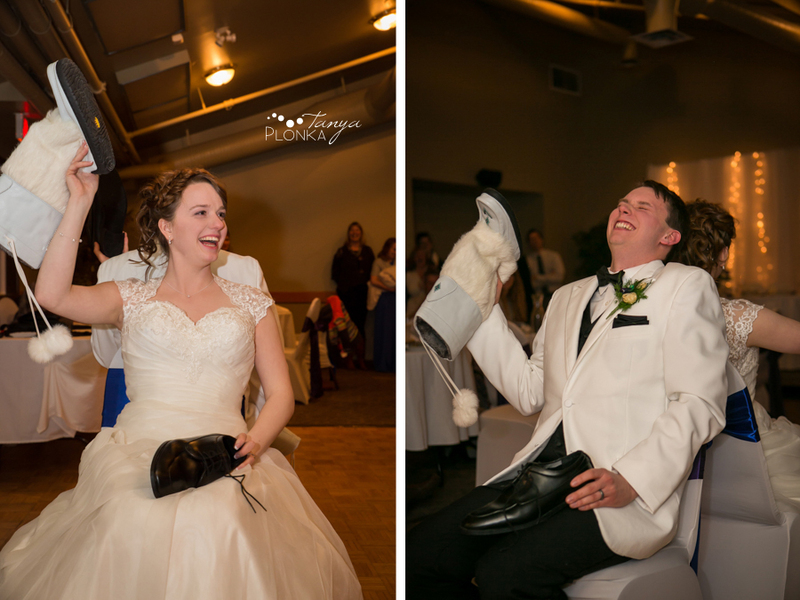 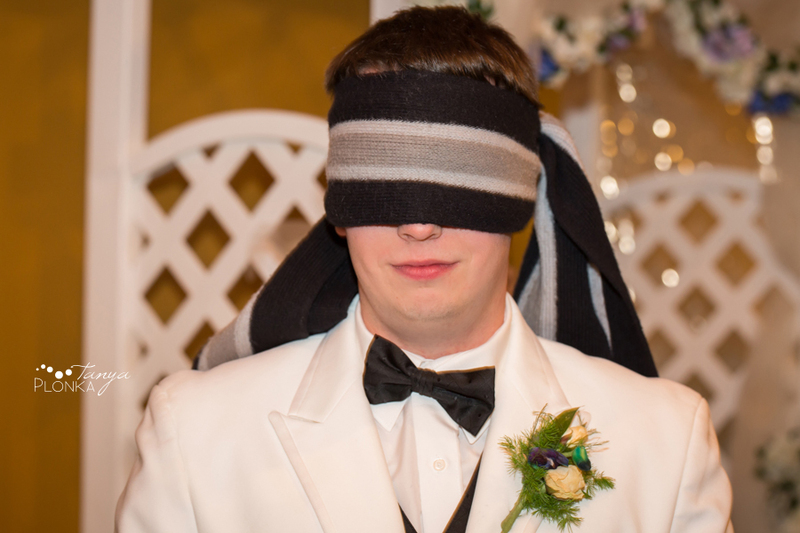 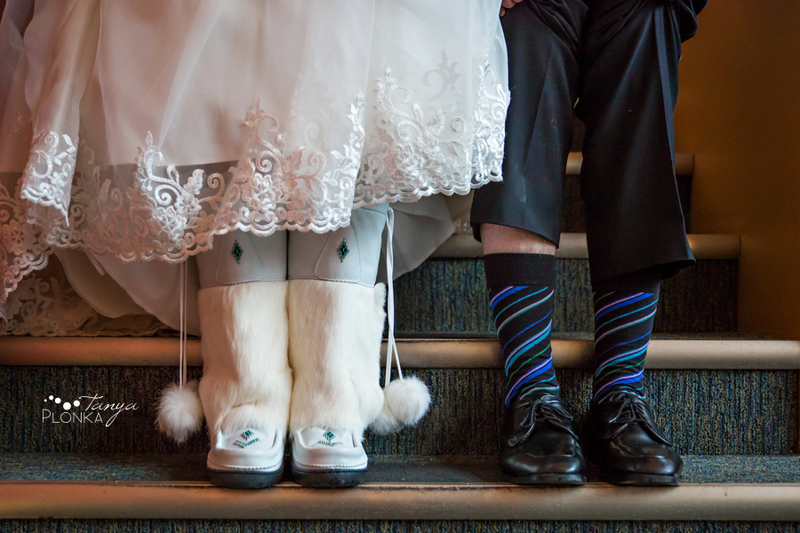 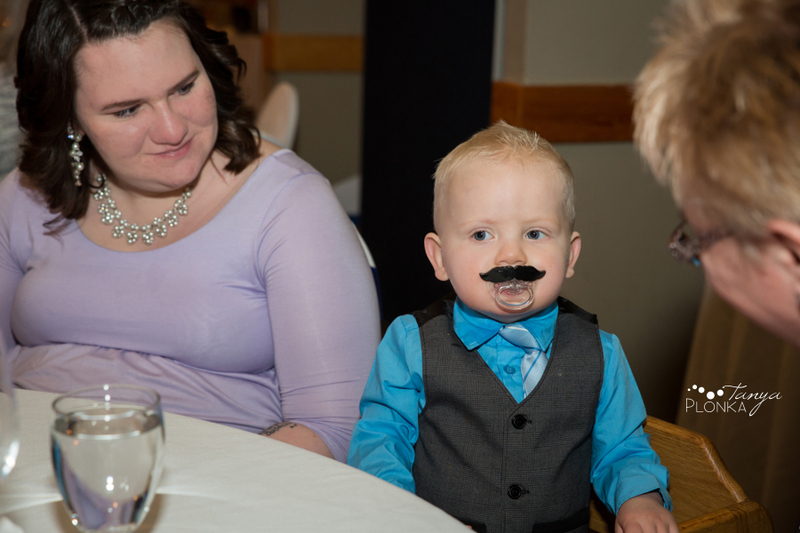 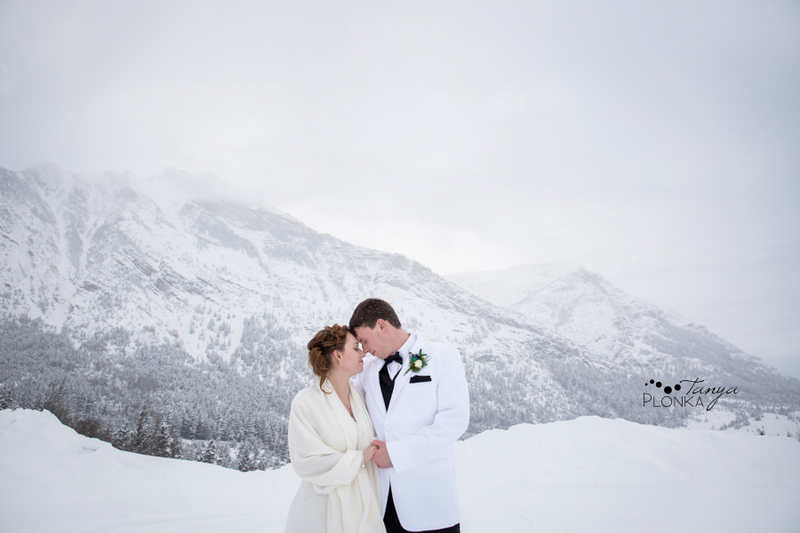 They planned their big day as a mini-destination trip with a Waterton Lakes Lodge winter wedding, and man did they ever get winter! 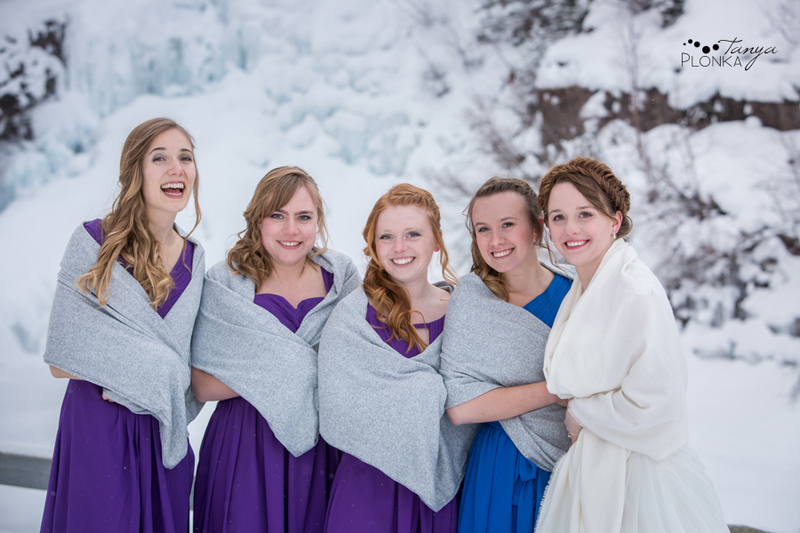 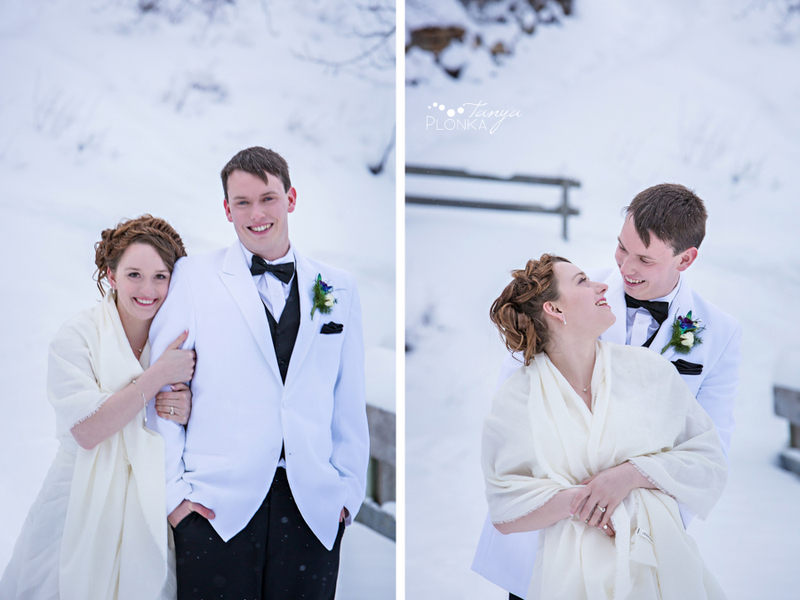 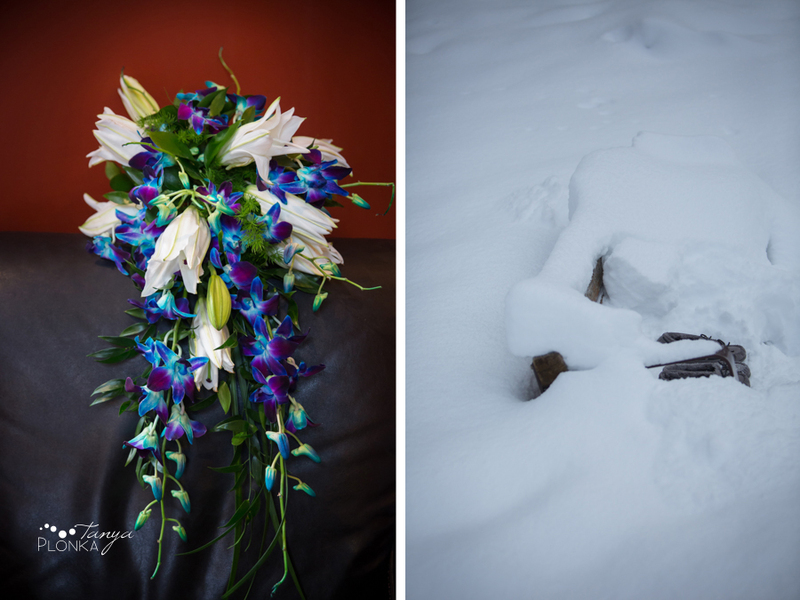 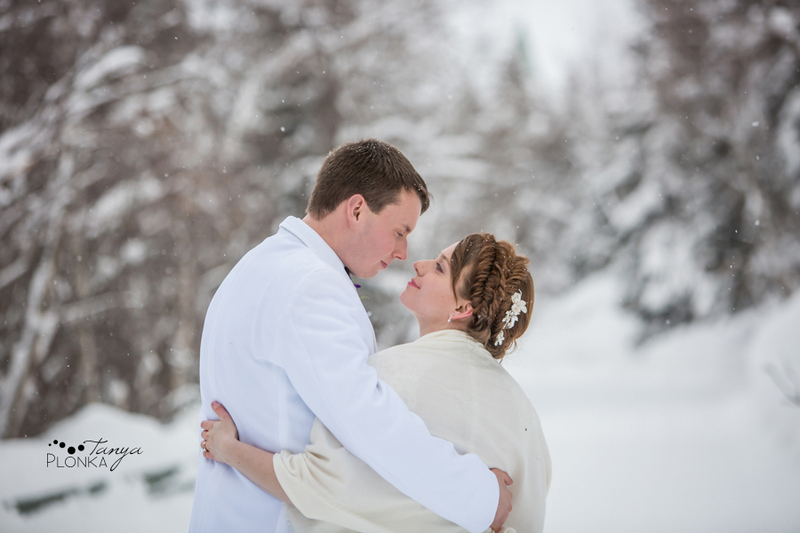 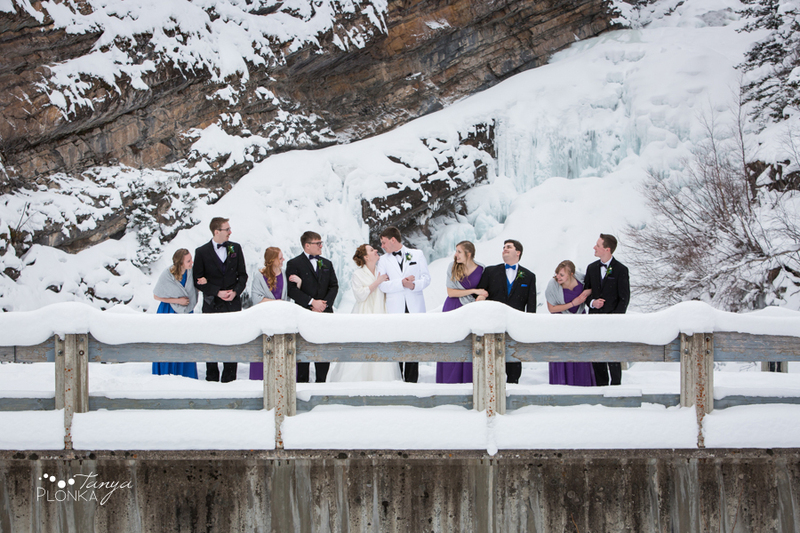 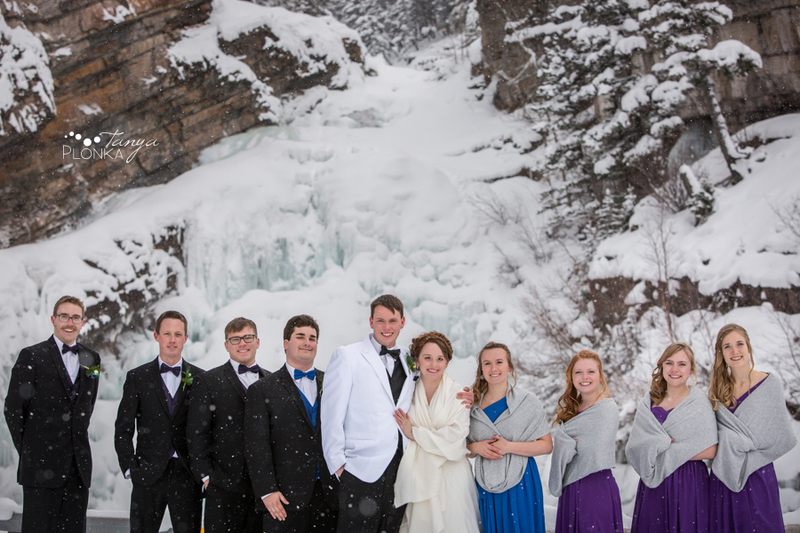 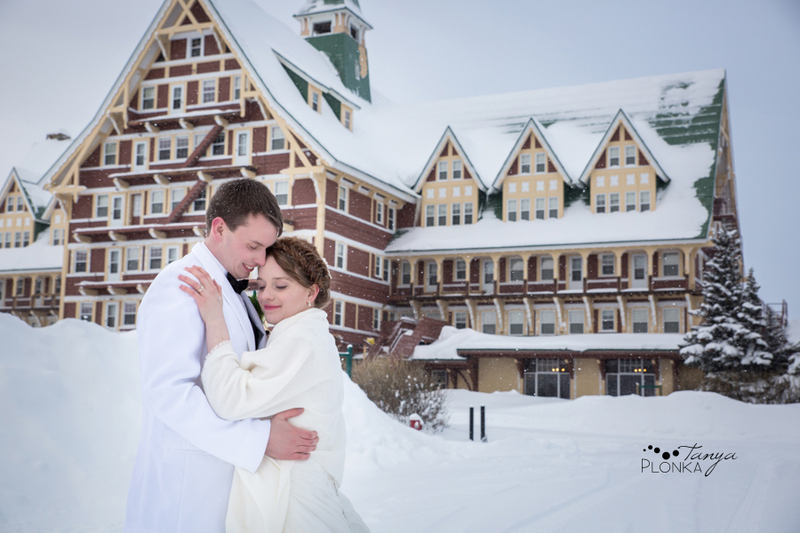 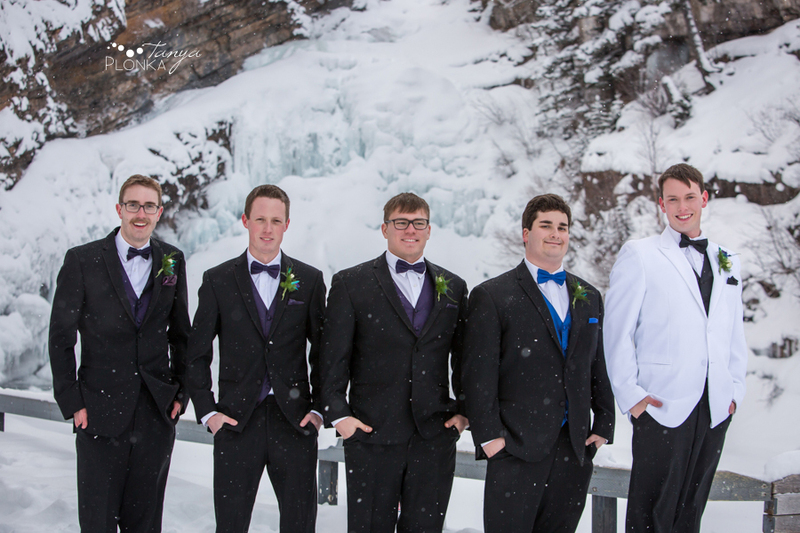 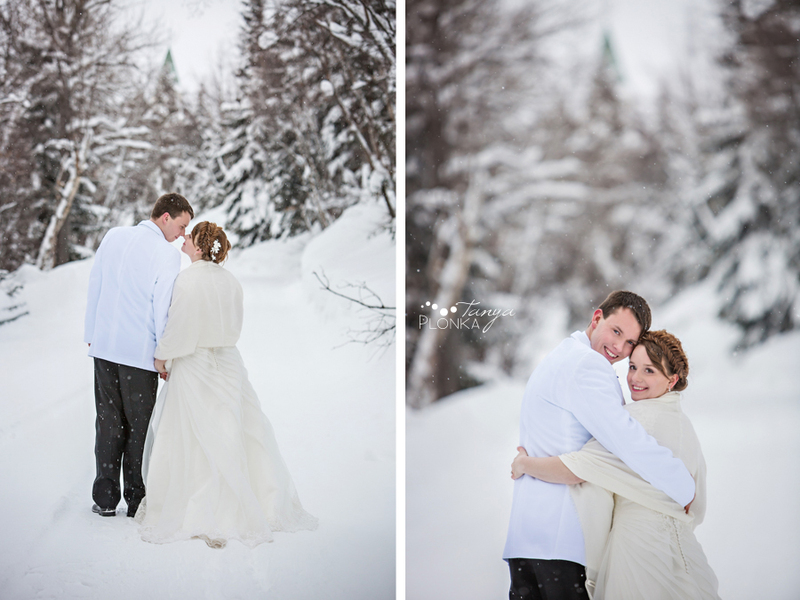 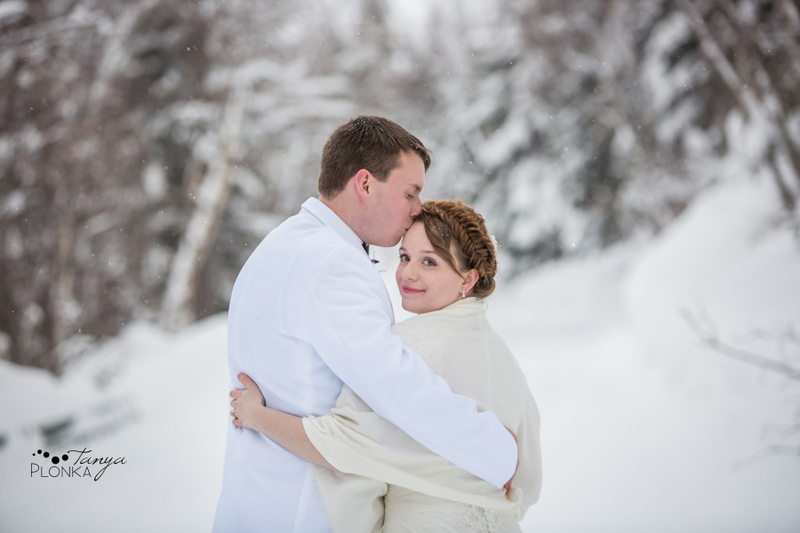 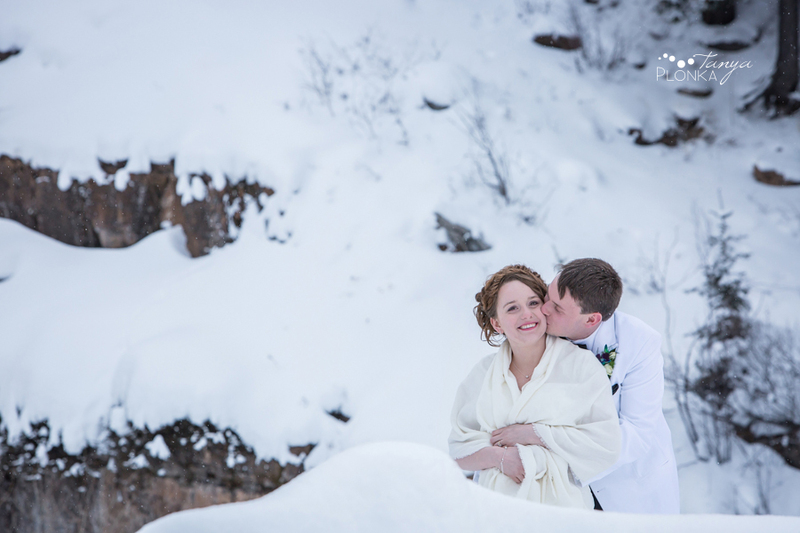 Waterton was covered in several feet of snow with a fresh snowfall just in time for their wedding. 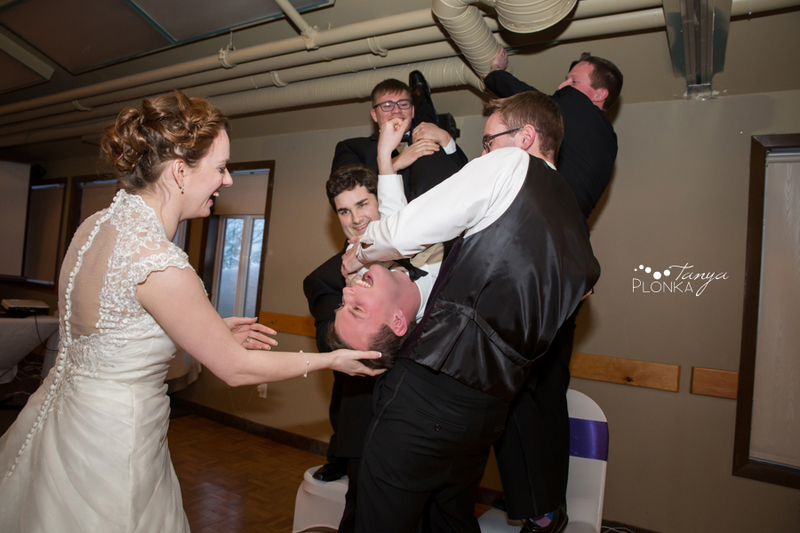 For once, it wasn’t windy there! 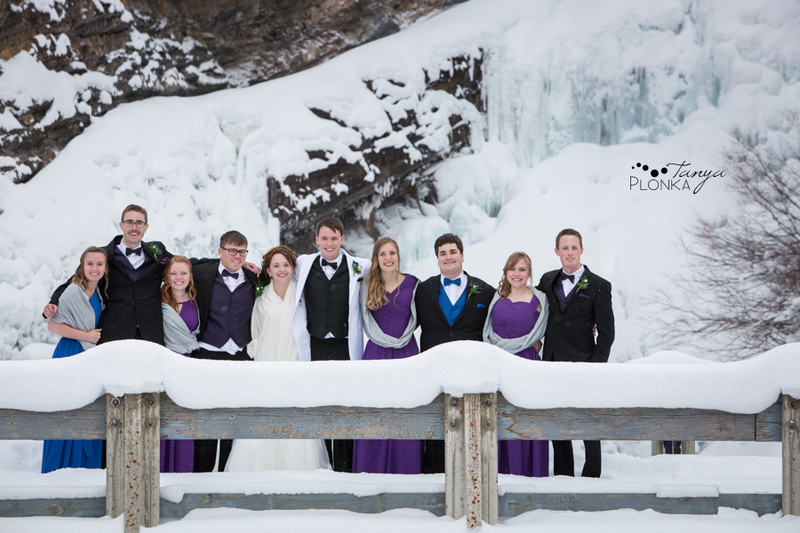 Their wedding party were great sports to go out in that much snow and we all lasted pretty long out there considering the temperature. 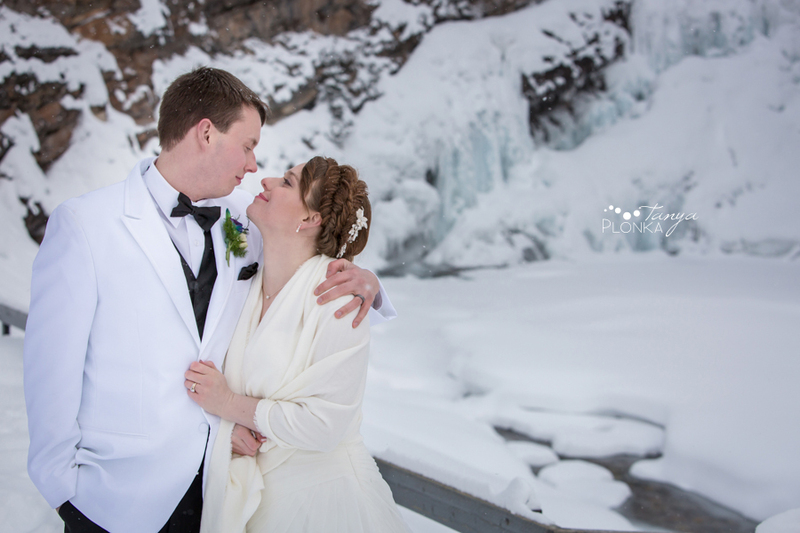 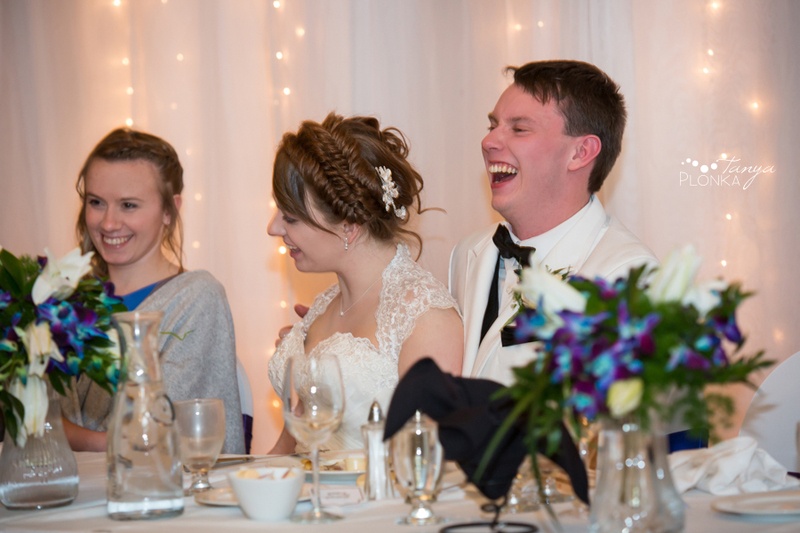 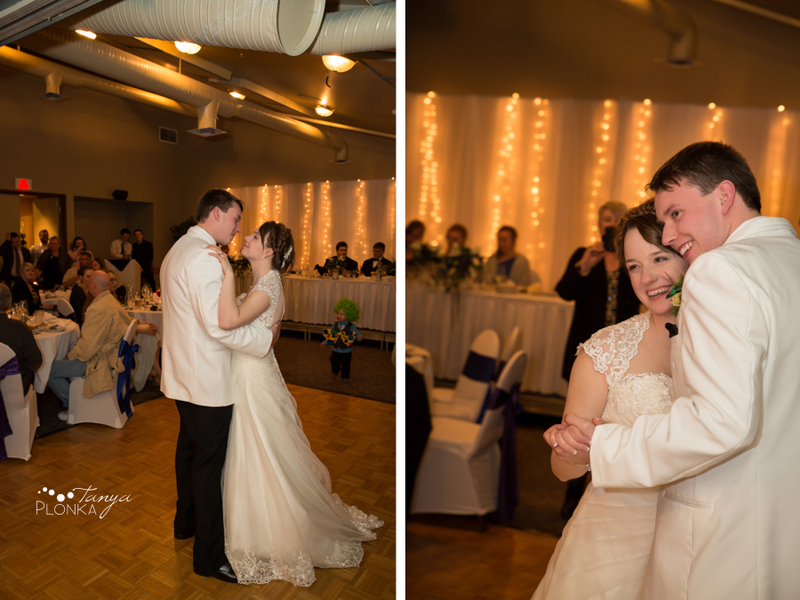 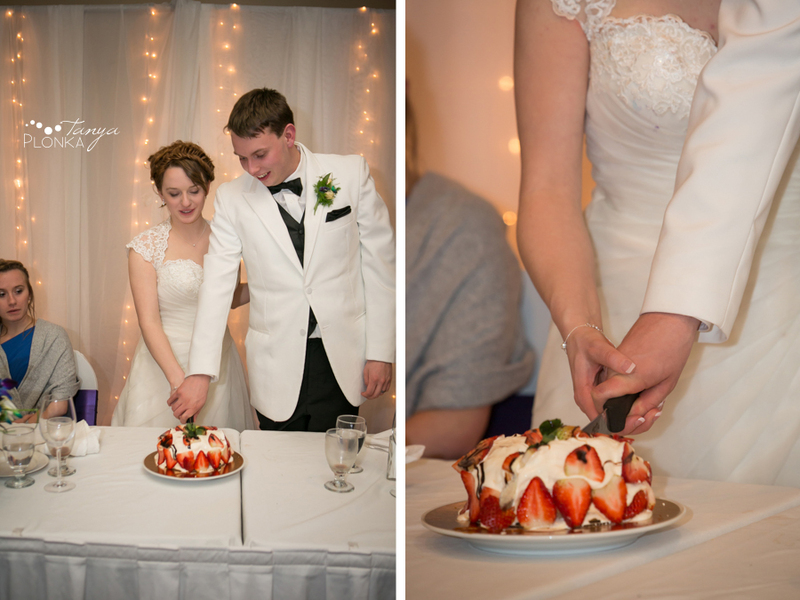 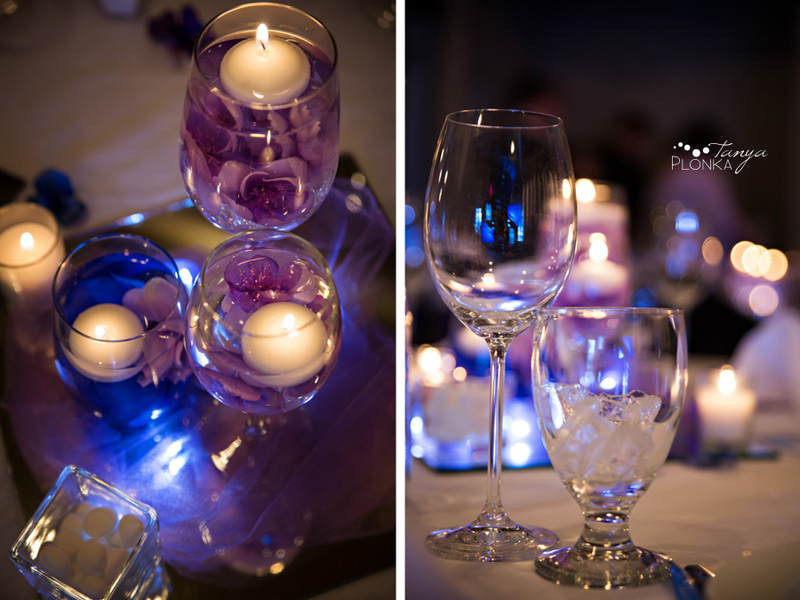 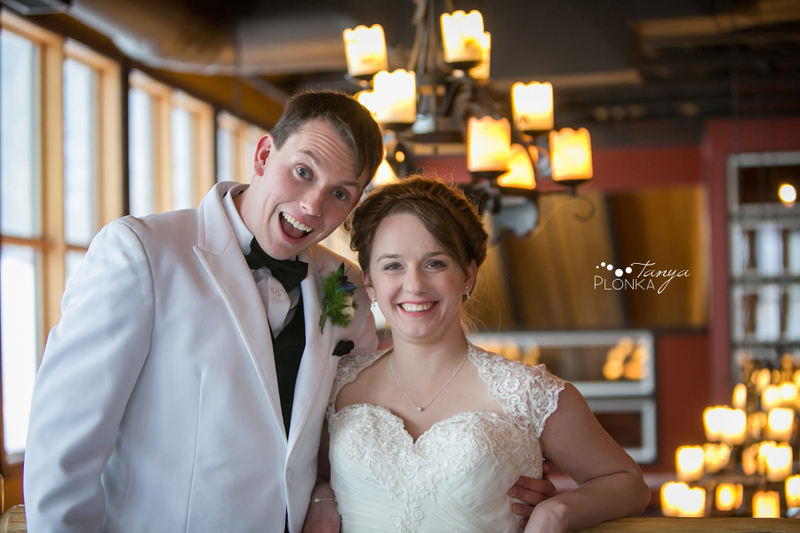 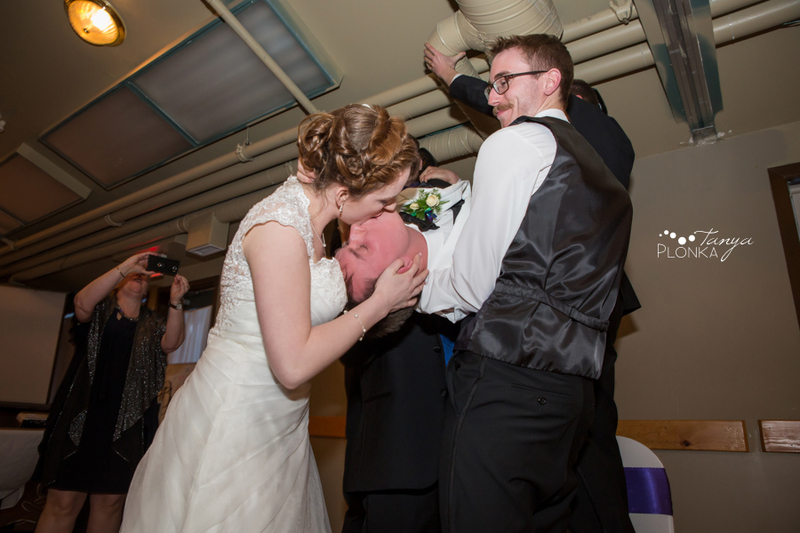 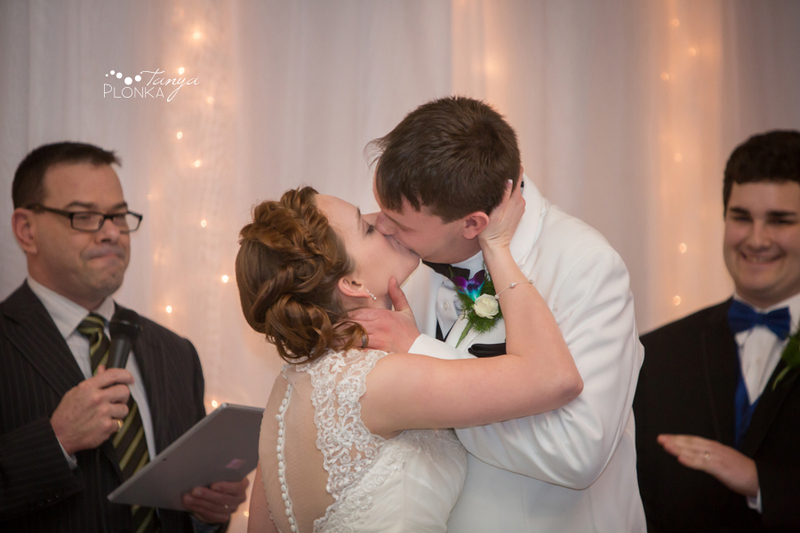 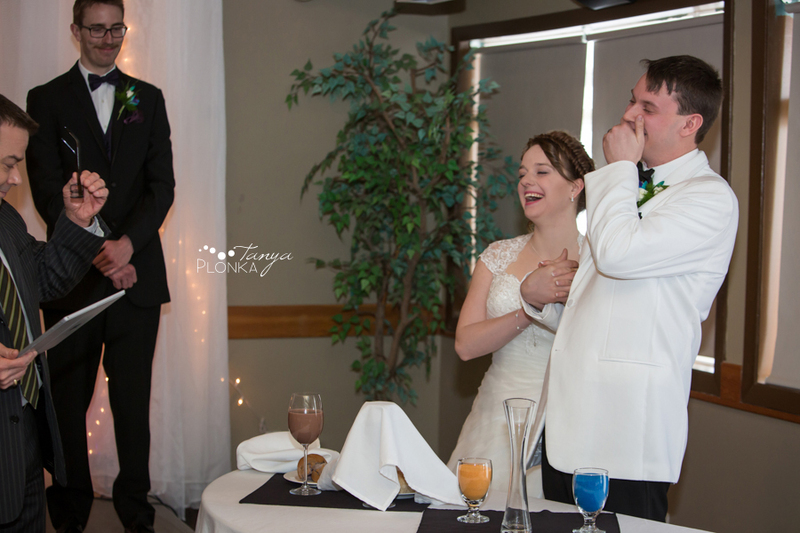 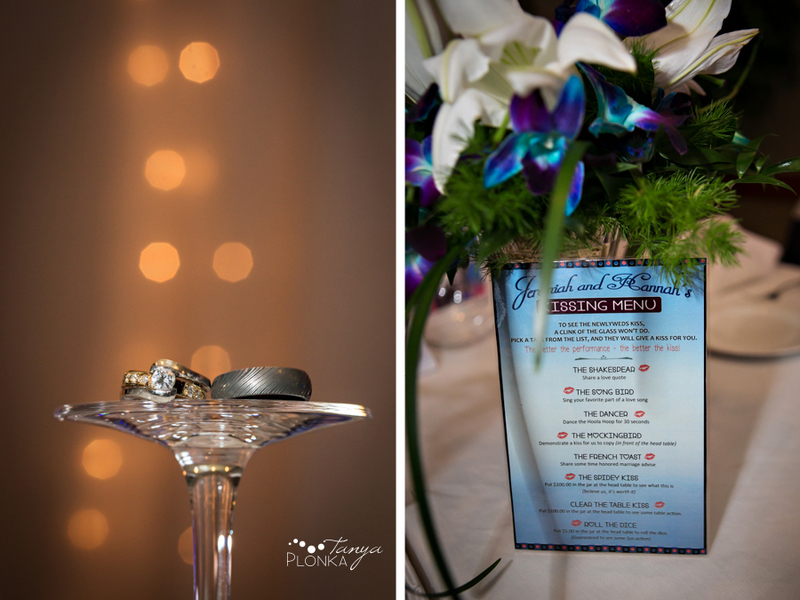 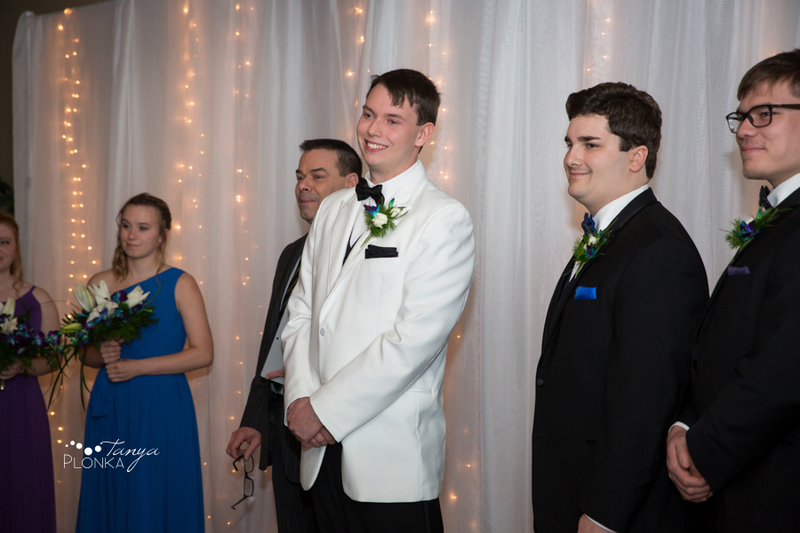 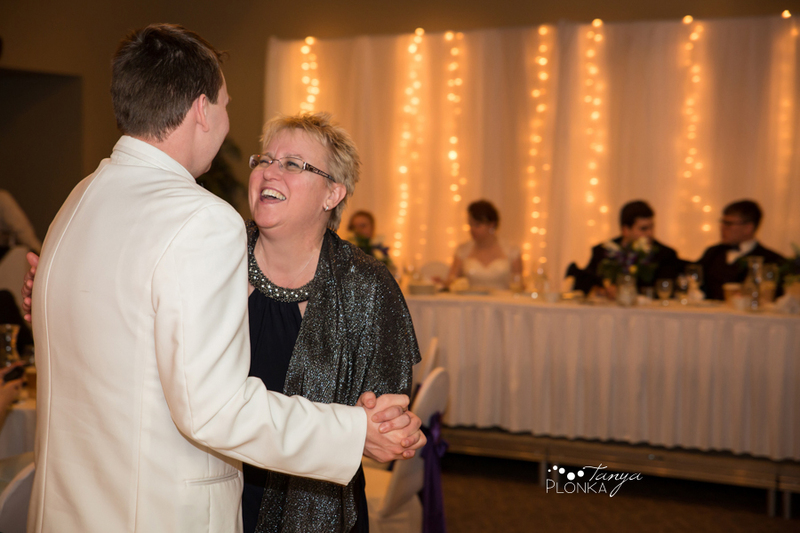 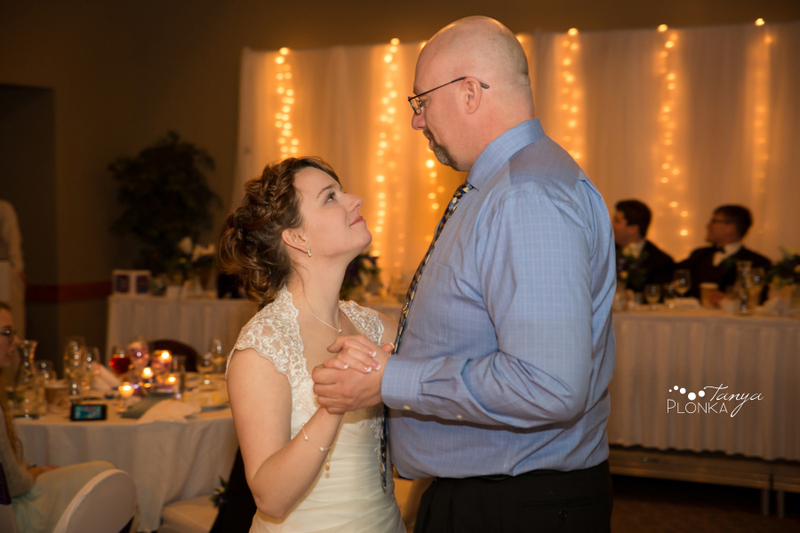 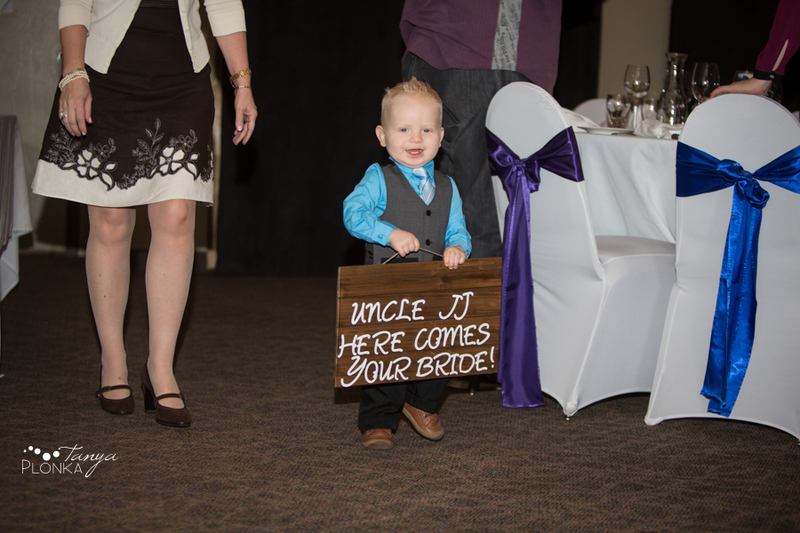 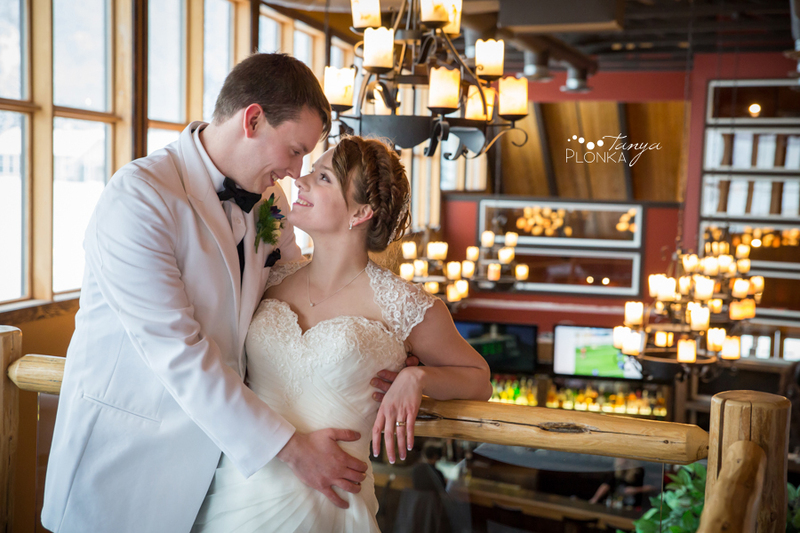 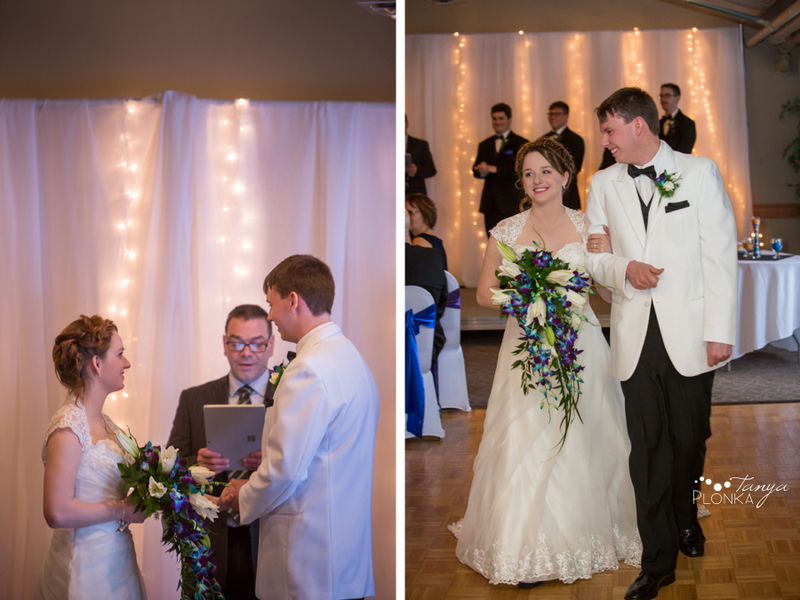 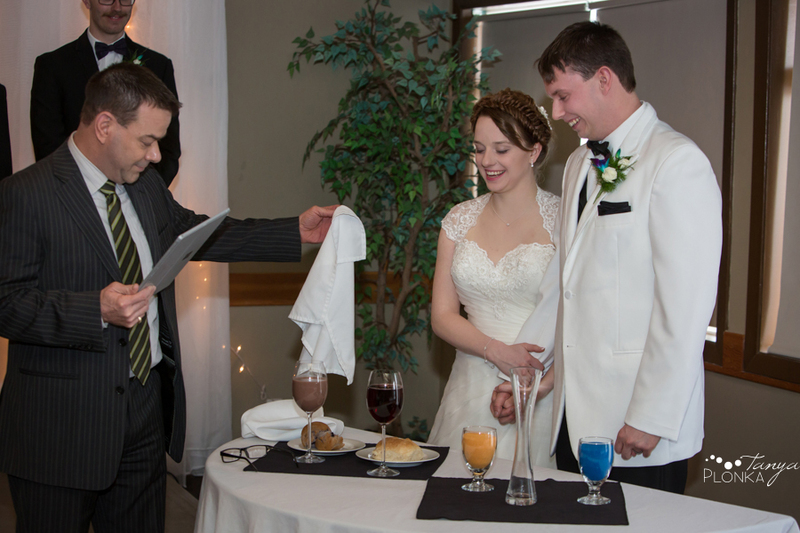 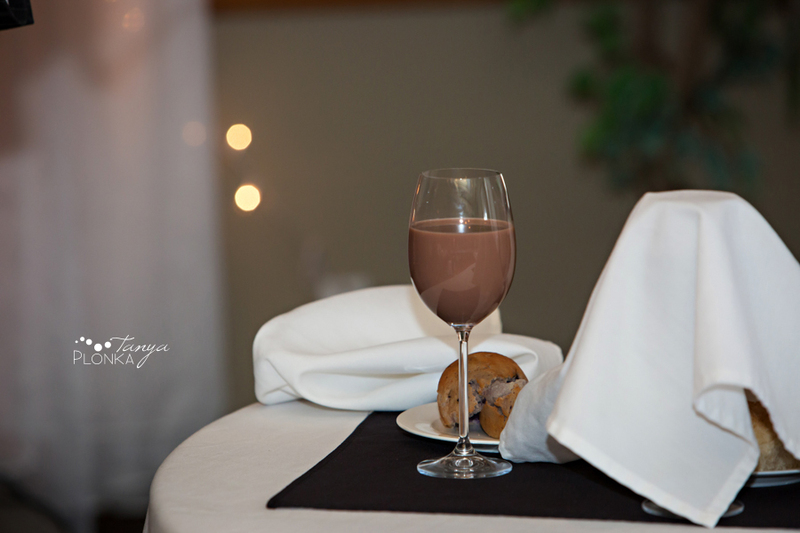 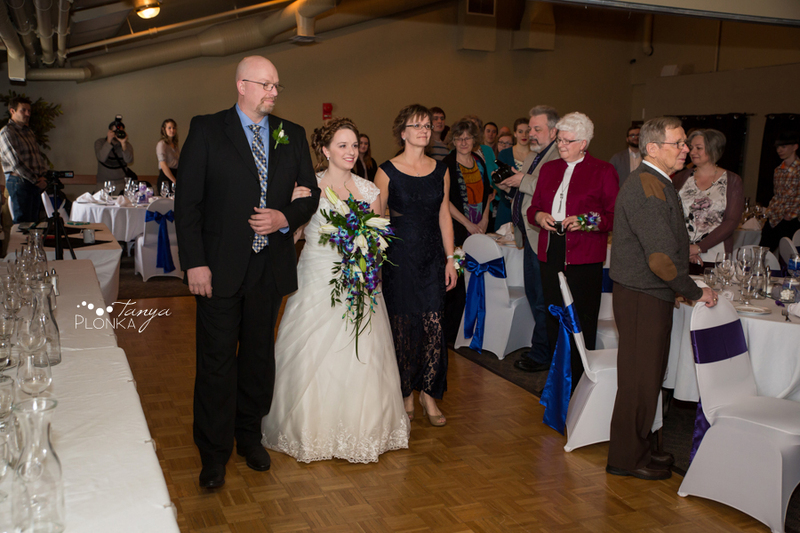 Both their ceremony and reception were held indoors at the Waterton Lakes Lodge Resort and they had beautiful lights set up behind the head table stage that made a perfect backdrop for both portions of the day. 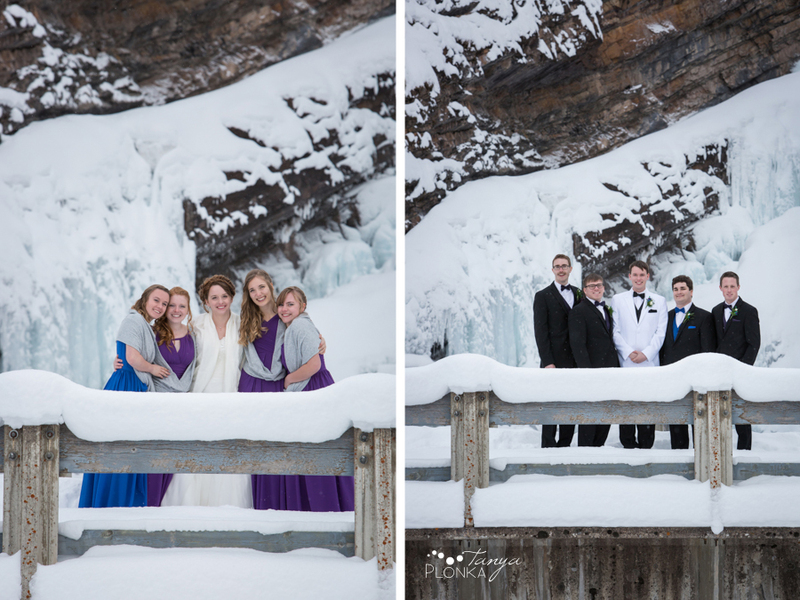 It’s a little snowy when the snow level is even with the top of the benches! 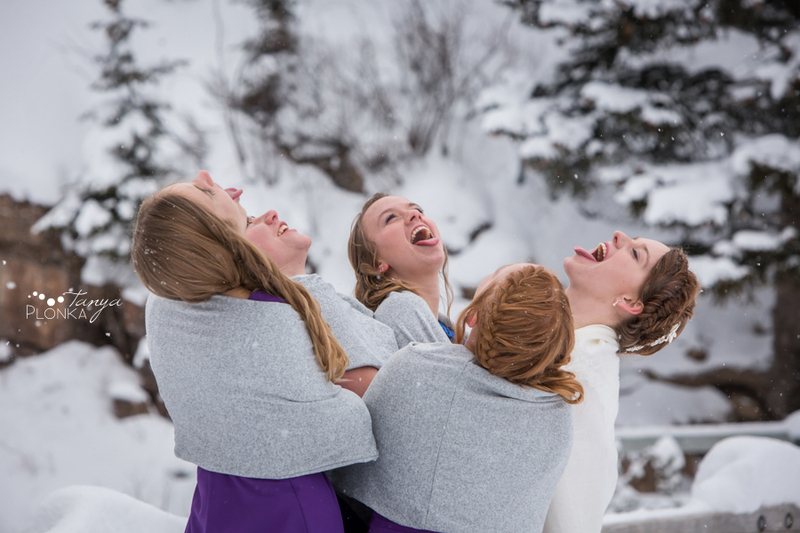 A perfect opportunity to catch snowflakes! 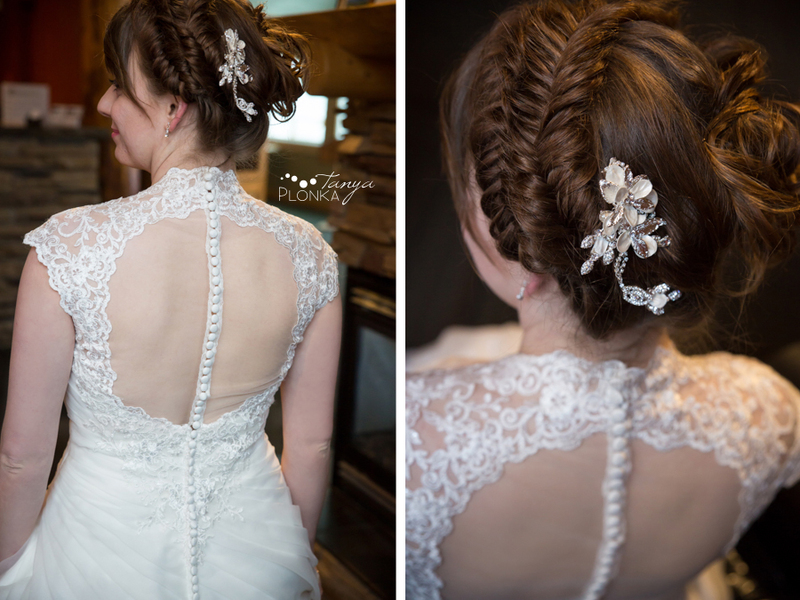 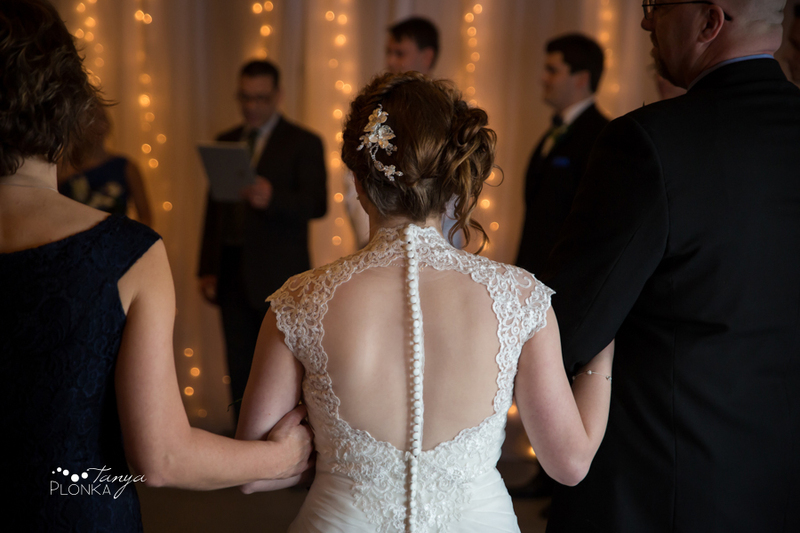 We did a few more detail shots inside the hotel where it was warm enough for Hannah to actually show off her full dress.